The festive blue women's sweater by Faux Real features a large menorah and the words "Chai Maintenance" across the chest. The Hebrew word for life, chai is pronounced "high." The characterization unleashed a flood of negative comments on Nordstrom's Facebook page. 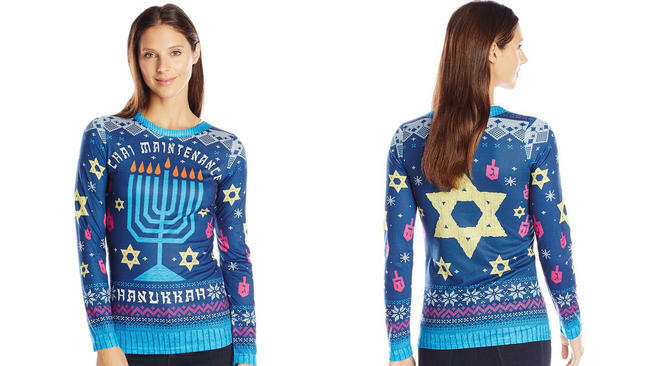 "I'm very disturbed by this sweater and the negative stereotype of Jewish women," said one poster, calling it anti-Semitic. Duly noted. Whatever daddy's little Jewish American Princess wants. Jewesses are above criticism in any shape or form. They are much too weak and fragile to handle the slightest joke at their expense, even from their own loved ones who are also Jews. Because ... Holocaust.